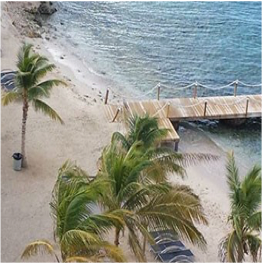 White sandy beaches offering the perfect spot for some relaxation, romance and maybe a touch of watersports... Curaçao doesn’t disappoint! 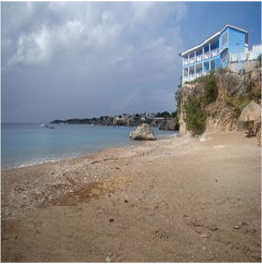 And although the island boasts already 38 "official" beaches, you will find plenty of other little coves along the coastline to provide you with the more intimate and peaceful experience you're after. On the island, these smaller sandy spots are referred to as “bocas”, while the larger and typically defined beaches are called “playas”. 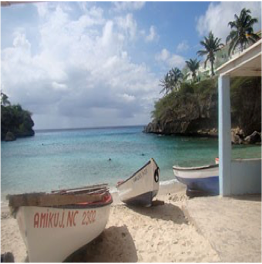 The calm waters of the island's South coastline provide ideal conditions for swimming, whereas expect rougher and wilder currents around the Atlantic coast. 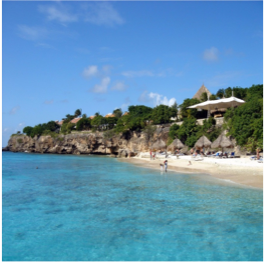 For Curaçao's best beaches, head to the Westpunt on the west coast, where turquoise waters and towering rock faces meet to create an impressive and picturesque background.